I have been wanting to get in a roller coaster for a while. Is it because i want to make a point to my 16 year old brother that i still can be cool and enjoy roller coasters without his formal invitation to roller coaster land? Maybe. Is it because my journey has been a roller coaster of experiences that course throughout my body increasing the adrenaline and cortisol that makes me feel like a fool. Probably Yes! The sensations of intensity throughout ones life are important and must be attended kindly to move forward. We all experience excitement as we go up. The expectation of the new, the unknown, the known- all of them contribute to the rush of excitement that makes us feel free, in or out control, and alive. ending and that this experience will soon culminate. Getting in a roller coaster is a unique experience can be both exciting and uncomfortable. Just like our journeys and life experiences, takes us to moments of excitement and crushing low moments when we want a warm blanket,mommy and a cookie. Would it be possible to enjoy going up as we enjoy going down?- I think so. Be kind to yourself and allow the experience of going up and down fulfill you in whatever way is needed. 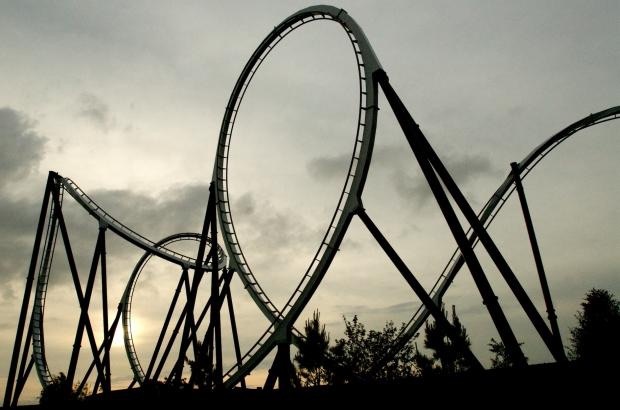 At the end of the day, roller coasters always go up.